The Brewers Association, a not-for-profit trade group representing small and independent craft brewers, released its annual lists of the top 50 craft brewing companies based on sales volume. 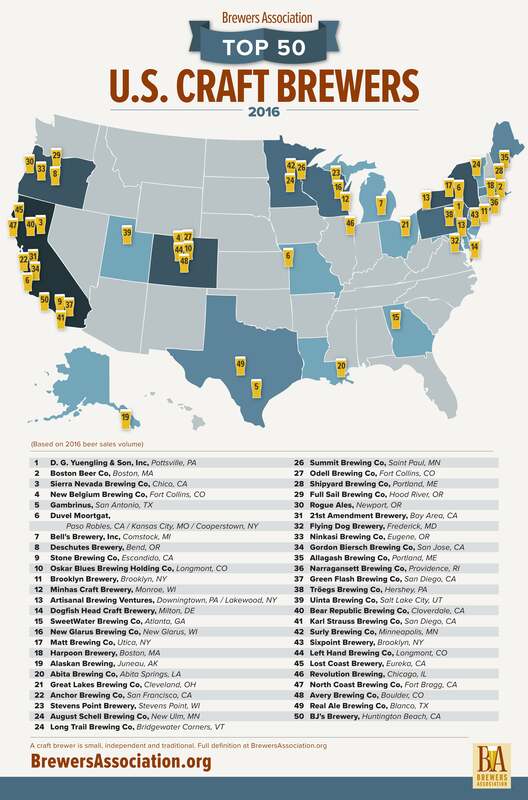 In a state-by-state analysis, California tops the hop heap with 12 beloved brewers. If you're not pleased with your favorite brand's spot in the ranking, go out and buy more beer. Can you think of a better way to support small business?